The Australian population has been in a lot of talks in the past few days. So, I thought of applying some statistical models to actually find out the predicted population of Australia in the next few years. In the last ten years, there has been a quadratic growth , with around 0.1% growth in population each quarter. See the chart below. A very strong r-squared of 0.99 explains the strength of the growth and that the quadratic equation can explain the growth, very well. Also, there is less than 1 in 10,000 chance that our hypothesis is wrong. Before we go on predicting the total population, I think it is a good idea to take a look at the gender split and its growth in the recent past. The number of females has been always higher than the number of males in Australia but in the recent past number of males have been catching up. This can be clearly seen in the another chart below. The male to female ratio was constantly on the decline in 1990s but it has caught up in the 2000s. And now male to female ratio is about to be of the 1980s level. 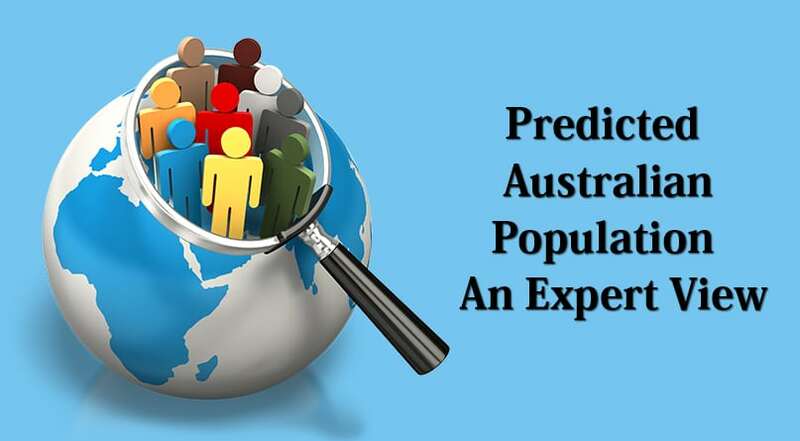 On applying the Linear (Holt) Exponential Smoothing , the predicted population of Australia is set to reach 27.5m in the quarter 04 of year 2022, with an upper confidence 95% interval of 29.5m and a lower confidence 95% interval of 25.5m. We can say that with a R-squared value of 99% and a p-value of less than 0.0001. A very statistically significant predicted number. The above information is based on the data provided by Australian Bureau of Statistics.